Lately, there has been a lot of noise over how classified sites could lead to a boom in e-commerce,yet online peer-to-peer marketplaces (classifieds) do not quite qualify as electronic commerce. The payment method is agreed upon between buyer and seller, and might as well be good old fashioned cash: the ‘place of commerce’ for those transaction, as it were, is mostly offline. The problem is that peer-to-peer payments restrict commerce to peer-to-peer sales. The missing ingredients for full-scale e-commerce are centralized merchant storefronts. Local classifieds sites are comparable to EBay and craigslist in form and function, we do not yet have anything comparable to Amazon or NewEgg. There have been a number of merchant e-commerce sites targeted at Zimbabwe’s diaspora with varying levels of success, but none has succeeded in reaching Zimbabweans in Zimbabwe. I suspect a major factor is the lack of internet-based payment options, which is ironic considering how wildly successful mobile wallets have been (EcoCash is the runaway leader, with Telecash in second position). An unencumbered, trusted, internet-facing payment API (Application Programming Interface) seems like a natural progression from mobile wallets, but neither Econet, Net*One nor Telecel have chosen to provide one. Without a payment API, payment processing cannot be automated, and without automation there is no possibility of scaling sales. Without scale, e-commerce merchants are not viable because scale is biggest advantage over brick-and-mortar stores. If you need a human to manually process or verify every payment (as you would have to do currently with EcoCash or Telecel), you would be limited to roughly 10 transactions per hour (Amazon sells 426 items per second during peak periods). I imagine a developer could ‘McGyver’ a flaky system to parse payment SMSes with a GSM Modem and Gnokii or Gammu, but there’s no getting away from the fact that SMS is an inherently poor choice for EDI. Integration with existing shopcart software like Magento or Shopify is a challenge without an API. Looking to the future, things do not look very rosy. Telecel had promised to publish an API, but it only got as far as inviting interested parties to sign up for limited trials. It’s a reasonable first step, but only if there are other steps following, and so far there are none. Paynow has an API and a distinct first-mover advantage, but it has its pros and cons. Pros: allows payments from EcoCash/Telecash as well as ZimSwitch & Visa/Mastercard. Cons: mandatory payment escrow; slow payment into merchant account (in the order of hours or days); additional ‘middleman’ fees on top of any fees payable for underlying services fee (Visa/Mastercard/EcoCash/Telecash). I am not holding my breath for a first-party EcoCash API, given Econet’s historical aversion to interoperability. Perhaps the best thing that could happen for merchants would be a partnership with PayPal supporting payments into and out of mobile wallets. Great thoughts Tapiwa. E-commerce needs more than a payments API, but yes I agree that this is one of the foundational requirements. Got a FOSS project some devs & I’ve been deploying in production for a number of big-ish corps. It’s a personal self-hosted payment gateway for local payment methods. There’s a package on that project which allows working with SMS’ and parsing them, and it’s been used in production for years by many. It actually works with no trouble if you don’t have crazy volumes. Or you can simply go with the official APIs from the telcos. They do have their APIs, they are available, but usually they’ll take companies that have a strong promise of volumes. For peer to peer payments, PayNet as an example, (ignoring their charges/fees for the sake of argument) can actually do. But payments API are just one piece of a bigger puzzle, and they are easy to make work if you really want to do the plumbing . Local devs need to build a lot of foundational pieces to enable e-commerce to work as a whole. 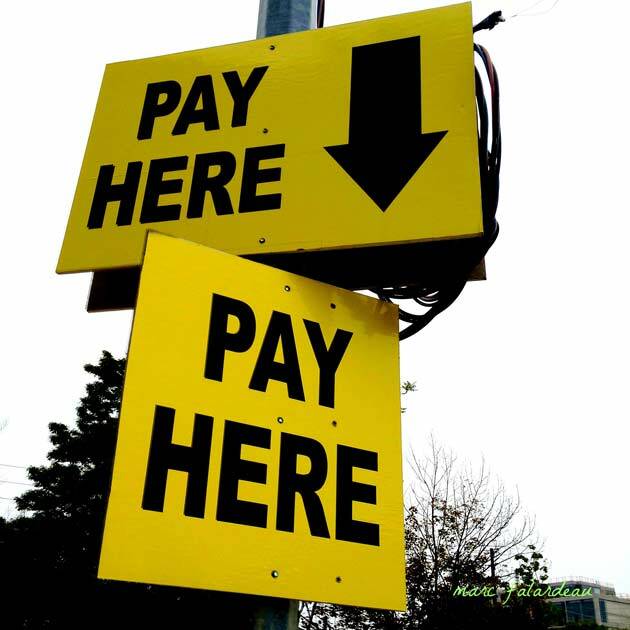 Payment APIs are enablers: not an end unto themselves. I’m glad to hear you have been working on a payment gateway (library/app). I am a great proponent of open standards and libré software because it avoids duplication of work(for one thing), kudos to you. Out of curiosity: do telcos give SMPP access or it’s some other protocol? Before making a lot of noise yourself, you should have checked techzim previous publications and see if you are not repeating articles without giving anything. APIs are not the point of this article. The subject is how APIs affect B2C hopefuls (merchants) and e-commerce as a whole. Perhaps the best thing that could happen for merchants would be a partnership with PayPal supporting payments into and out of mobile wallets. Dude, I have to say, this article was a waste of space. If APIs are not the point of this article then why the title “E-Commerce needs a payment API?” Doesn’t Paynow have an API? Doesn’t Pay4App have an API? If you want to run an ecommerce business rather than spend your days coding an interesting project – you would just use one of those options and get on with encouraging people to buy from your site. We opted for Paynow because we didn’t need to go and beg the banks for merchant accounts or have a merchant/biller codes with the MNOs -Have you ever tried this as a small business? I just want the money in my bank and it usually arrives same day or next. If Paynow is to be believed (I have no reason not to) they are adding other payment methods and I wont have to lift a finger for my customers to benefit. If you were going to talk about lack of API from courier companies to deliver goods then you would have a point but payment processing is sufficiently solved, it cant be used as the reason that ecommerce is not taking off. Personally, I use opencart and Paynow gave me an opencart plugin, I think they also have for other carts. I turned off Paynow Buysafe (Escrow) because I need the monies paid by customers to fulfill the order. All payment gateways charge a fee for processing transactions, including Paypal. Do you want to have to code for every bank or mobile wallet than comes onto the market and have you money sitting in each of them? I just don’t even know where you were going with this article? If you had spent the time you took to write this article on informing yourself about the solutions on the market you would be better placed to succeed with an ecommerce business and it would have spared us the time reading this pointless article! I’m afraid I can’t condense the purpose of the article beyond the 2-sentence summary you replied to. PayNow is an excellent choice for those who can work with their terms- I am glad it fit your needs- good for you! Sadly, like many things in life, it won’t fit everyone’s needs (for reasons mentioned). Its a matter of perspective. Is payment sufficiently solved? No, not universally, not under onerous terms. Is it sufficiently solved for you? Yes, it seems so. You are wrong about Paynow, there is no mandatory escrow you can turn it on or off, the extra fees can be absorbed or passed on. Instead of working for weeks integrating all the different channels why not just integrate once and be up and going and doing business nothing stopping you changing later when u made a plan. Article seems badly researched and thought out. Paynow operates an escrow-type service called Buysafe to protect and reassure buyers. Buysafe protects the buyer by ensuring that the payers funds are only disbursed to the Merchant once the buyer is satisfied that the goods have been delivered or service has been rendered…Buysafe is enabled by default on all paynow sellers and may only be disabled by Verified Merchants. Verified Merchant status is reserved for sellers who have been through a stringent process to verify their identity. And your editor should do a better job of proof reading articles.